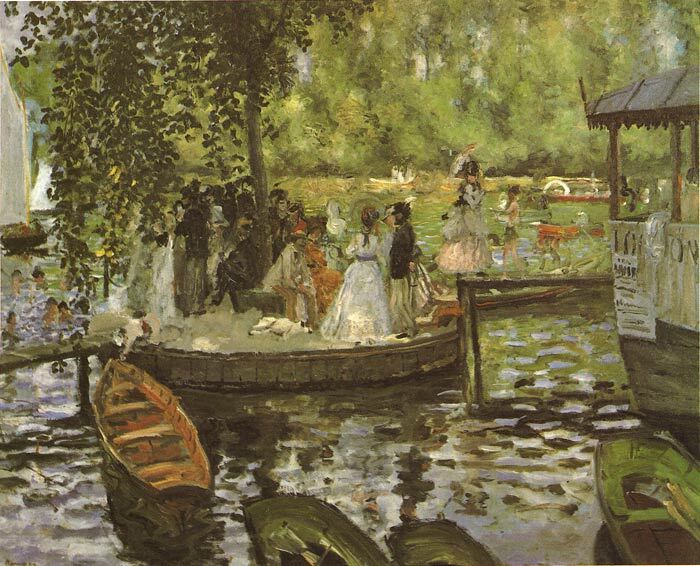 From Renoir to Vincent van Gogh, artists sidestepped the centuries-old tradition of history painting. Instead, they focused on modern values of color, light, and brush stroke. SPECIAL NOTE : The painter will make the reproduction as close to the original oil painting as possible. If you want your painting to alter from this likeness, please email us and " La Grenouillere, 1869 " will be reproduced according to your special requirements.